Salt Lake County has a population of just over 1 million residents. The county runs from Salt Lake City east and west of Interstate 15, south to Draper. Salt Lake County is known for its numerous ski resorts including Snowbird, Alta, Solitude and Brighton and easy access to several more within a short drive, which led to Salt Lake City hosting the 2002 Winter Olympics. There are currently 15 cities in Salt Lake County including Bluffdale, Cottonwood Heights, Draper, Harriman, Holladay, Midvale, Murray, Riverton, Salt Lake City, Sandy, South Jordan, South Salt Lake, Taylorsville, West Jordan and West Valley City. Salt Lake County is the heart of Utah. Salt Lake County is connected mainly by Interstate 15, Interstate 80, and the 210 Freeway. With the recent expansion of the light rail system known as TRAX, accessing the downtown Salt Lake area has become very convenient from most cities within the county. We make buying a home in Salt Lake County more fun with our buyer rebates. Below search Salt Lake County real estate sorted by cities. Click on the city of interest and the newest listed homes in that city will be displayed. There are over 1200 homes and condos for sale in Salt Lake City. The large majority of the homes are selling from $150,000 to about $2,000,000. Downtown Salt Lake City offers several condo options including lofts, penthouse and high-rise options. There are nearly 400 homes and condos for sale in Sandy. Homes for sale in Sandy start in the mid $100,000's with some homes selling over $5,000,000. Sandy is an ideal location for a ski home or condo as it is located less than 25 miles from 7 ski resorts. There are over 200 homes for sale in Draper Utah. Homes prices start at about $250,000 with several homes going for over $1,000,000 and a few homes selling over $3,000,000. For the most part homes in South Jordan start in the low $200,000's with the large majority of the homes selling under $500,000. West Jordan offers several new home communities including the popular Daybreak master planned community. 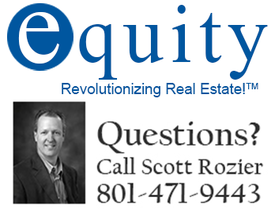 You can find a nice home for sale in West Jordan from $150,000 to $400,000. West Jordan is a nice family community that for the most part is well established. There is some newer construction but most new construction is in neighboring South Jordan. Holladay condos for sale start at about $100,000 and single family homes start in the mid $200,000's. Holliday even has some homes selling over $10,000,000. There are nearly 150 homes for sale in Holliday with most selling below $600,000. Over 70 homes & condos for sale in Midvale with condos starting under $100,000. Single family homes start in the mid $100,000's with most selling below $300,000. There are over 150 homes and condos for sale in Murray. There are several condos and town-homes in Murray for sale below $100,000. Single family homes start at about $200,000 and topping out at about $600,000. There are over 300 homes and condos for sale in West Valley City with most homes selling between $100,000 and $400,000. Most homes that are listed below $150,000 tend to sell very quickly. Most Homes in Riverton sell between $200,000 to $500,000. Currently there are over 125 homes and condos for sale in Riverton. Great close to downtown location. Big living room with fireplace and hardwood floors. Don't disturb tenants. Bring your offers.